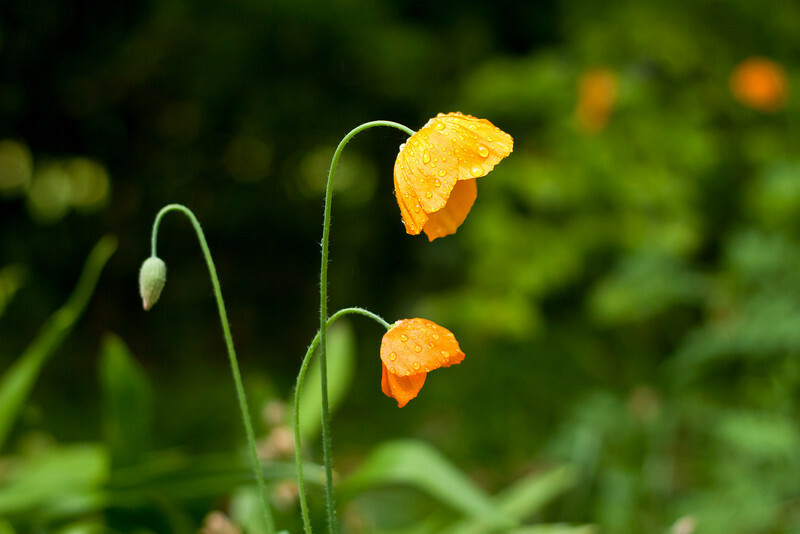 Meconopsis cambrica "Welsh Poppy". I love the Welsh Poppies, at least partly I suppose as I was brought up in North Wales and saw them growing wild all over the place. Whilst the more common yellow form is a lovely cheery plant, it's the shades of orange that I'm really drawn to, like this one. I took this picture in a brief break in the weather on a stormy day, just as I was giving up on the days gardening as a bad idea and heading for home.